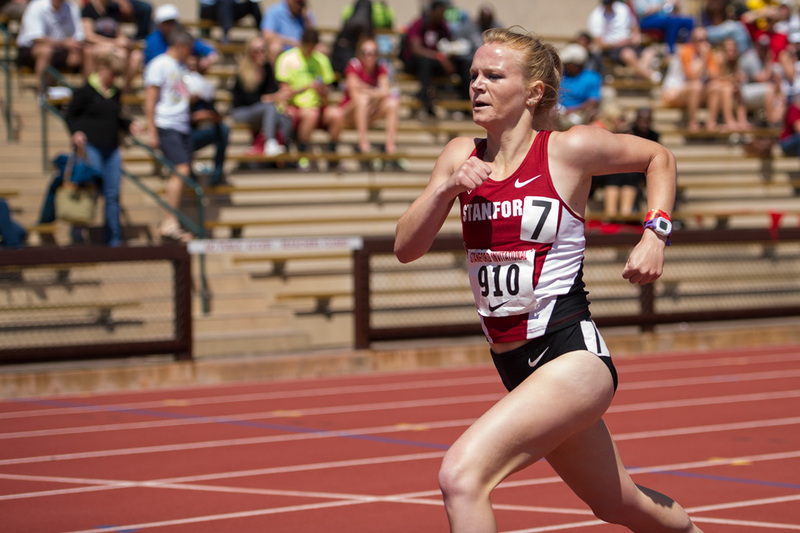 STANFORD, CA - April 3, 2015: Stanford hosts the Stanford Invitational Track Meet at Stanford University in Stanford, California. At first glance, this cross country season seems like business as usual for the Cardinal. The No. 3 men’s and No. 13 women’s teams claimed their usual spots among the 31 teams who have qualified for the NCAA Championships in Louisville, Ky. on Saturday. This season marks the 22nd-consecutive year that both the Cardinal men and women will compete at the NCAA Championships — the longest ongoing streak in the nation. Last year the Cardinal men were the NCAA runner-ups, and five of last year’s NCAA lineup will compete again on Saturday. The women’s team placed 14th and is looking to extend its current streak of 22 consecutive NCAA top-16 finishes. But amidst all the consistency, head coach Chris Miltenberg, who is nearing the end of his fourth season at Stanford, says that each season comes with its share of surprises. What has distinguished the Cardinal’s 2015 cross country season story is not the fact that they find themselves in the championships once again — although that is impressive. The story of this season is what has preceded Louisville: The setbacks, perseverance and breakthroughs behind Stanford’s return to the NCAA Championships. On the men’s team, injuries kept Collin Leibold, a graduate transfer from Georgetown, and Jim Rosa, a fifth-year senior and cross-country All-American, out of competition until the Oct. 30 Pac-12 Championships. Uncertainty surrounding the lineup took its toll at the Oct. 2 Wisconsin Invitational, where the Cardinal placed 21st. The team’s national ranking dropped from its preseason No. 2 spot to No. 23, but rebounded to No. 4 after the Cardinal placed second at the Pac-12 meet. The Cardinal women had a more consistent season and notched top-four finishes in all six meets. But they also suffered a loss of star power: Sophomore and 2014 Pac-12 Freshman of the Year Elise Cranny did not compete this season due to injury. Amidst the rain and mud at the NCAA West Regional in Seattle last week, the Cardinal women placed fourth behind Oregon, Boise State and Washington. Automatic berths to the NCAA Championships are given only to the top two finishers at each regional meet, but the Cardinal women claimed one of 13 at-large spots, partly thanks to the team’s third-place finish at the Pac-12 Championships. Fifth-year senior and two-time Pac-12 women’s cross country champion Aisling Cuffe did not compete at the NCAA West Regional meet as an injury precaution. Without Cuffe, the team relied on depth. All seven Stanford runners finished within 22 seconds seconds of each other and were separated by 24 places. Junior Sophie Chase placed 15th out of 242 runners in her first meet as the Cardinal’s No. 1 runner, covering the 6-kilometer course in 21:04.6. 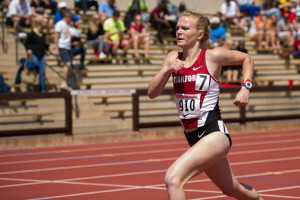 Sophomore Julia Maxwell ran at the Cardinal’s No. 2 spot to place 18th in 21:06.4. The Cardinal men placed second at the NCAA West Regional, qualifying automatically for the NCAA Championships along with first-place Washington. Most men’s collegiate cross country courses are 8-kilometers, but the NCAA West Regional meet and the NCAA Championships are both 10-kilometer races — within 10 days of each other. Given the added distance and short recovery period, the men’s team sought to run at a controlled pace. Jim Rosa, who at the Pac-12 meet was Stanford’s No. 5 runner, led the Cardinal at the NCAA West Regional, placing sixth in 31:14.9 out of 205 runners. McGorty and Joe Rosa, Jim Rosa’s twin brother and fellow cross-country All-American, finished within one second of Jim Rosa. McGorty placed seventh in 31:15.1, while Joe Rosa placed eighth in 31:15.3. Senior Garrett Sweatt placed 20th in 31:35.0. Freshman Grant Fisher, a two-time Foot Locker high school national champion and sub-four minute miler, and junior Jack Keelan were rested instead of competing at the NCAA West Regional. Both will compete in NCAA Championships on Saturday and look to vault Stanford toward the coveted title that it barely missed last year. The championships will take place this Saturday at E.P. “Tom” Sawyer State Park. The women’s race time is 9 a.m., and the men’s race is at 10 a.m.